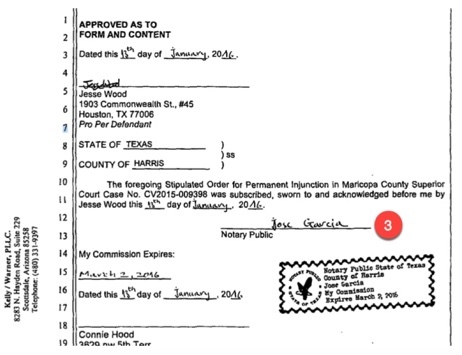 Fake Lawsuits Fake Defendants Fake Notary's Fake Signatures Fake Court Documents . 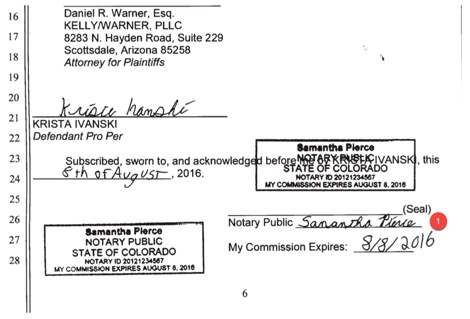 State Bar File Took It Upon Themselves To File Charges Against Dan Warner Aaron Kelly and Raees Mohamed That Head Up The Kelly Warner Law Firm Located In Scottsdale Arizona. 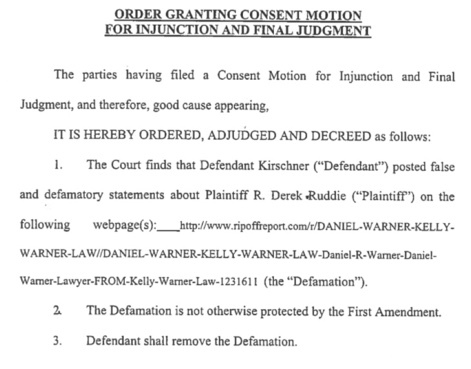 After a 16 month investigation an official charges have been filed against Arizona based law firm Kelly Warner Law and the attorneys. Sources say "criminal charges are possible due to the nature of the allegations and the investigation could expand into the rest of the firm including the paralegal and other staff. 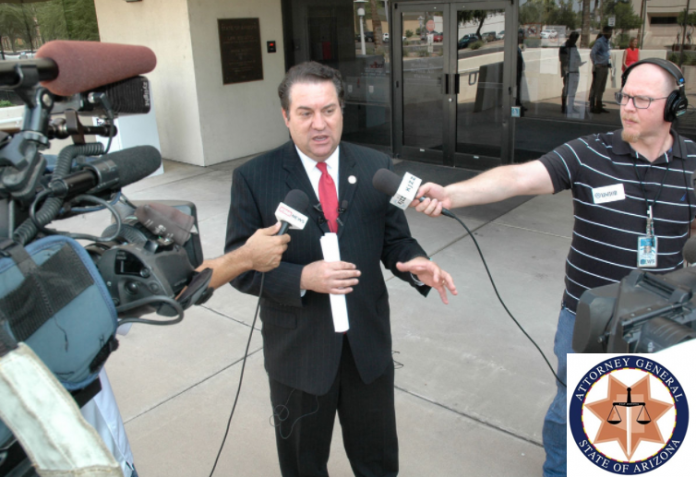 Other sources say Federal RICO Suit Is Imminent against members of the firm and Richart Ruddie as well others not named in the complaint. 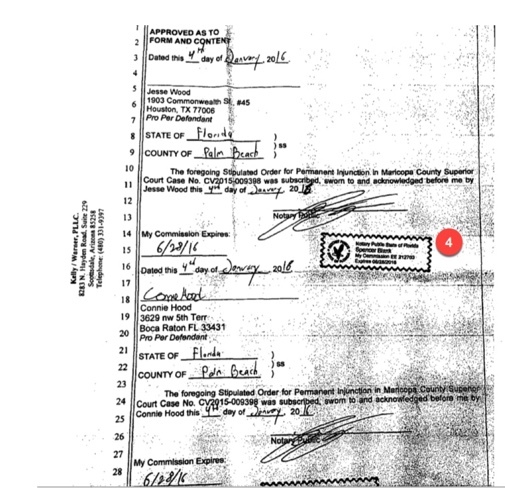 Arizona Attorneys Daniel Warner Aaron Kelly and Raees Mohamed Accused Of Fraud By State Bar. 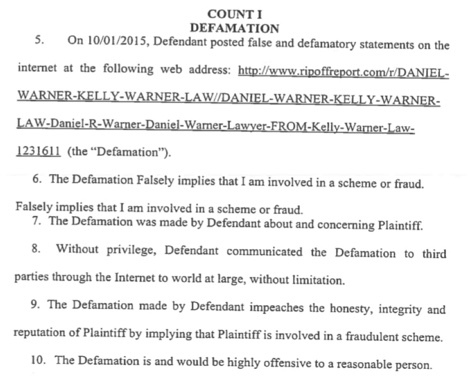 Attorney Dan Warner Sources claim Erika Warner must have aware of the ongoing alleged frauds. 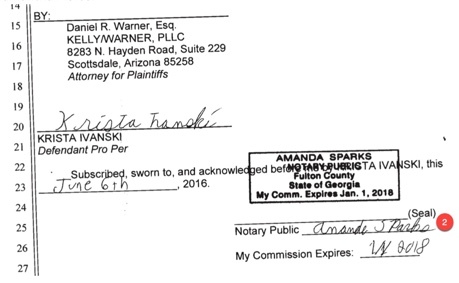 On a motion filed earlier in the case by Attorney Warner, the Notary is “Amanda Sparks of Fulton County,” but, once again, there is no Amanda Sparks in Fulton County. 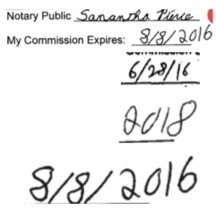 Volokh notes in his article that there is an Amanda Sparks in a different county with a different expiration date. So, it appears that the real Amanda Sparks may be a victim of identity theft.